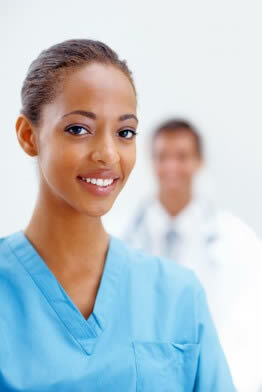 One can take certified nursing assistant training in South Carolina in order to gain certification in the state. There are various institutions which offer these programs and some courses are even offered for free provided that you work for the facility. The duration of the classes is comparably shorter than other instruction in the health care field and the fees are also generally lower. If you are looking for a fast and cheaper way of gaining entry into the medical field of work, you can try enrolling in a training program. Nursing assistants are currently on demand in the state of South Carolina due to the increasing population of those who need the assistance of healthcare workers in their day to day activities. Such persons can vary from those who are chronically ill to those who are disabled or are too old to take good care of them. With the various advancements that have been made in the field of medicine, more and more people are now living into their ripe, old age and they require the assistance of nursing assistants in order to care for them. What Is the Job of a Nursing Assistant in SC? Nursing assistants usually do tasks which are aimed at helping patients with their personal and day to day needs under the supervision of registered nurses or licensed physicians. Such activities include preparing meals, arranging the patient’s bedding, infection control, dressing, grooming, bathing, toileting, transportation, and ambulation of the patient. They also help inform the patient of medical terms and possible side-effects of certain medications. They also aide the patient and his family cope with their patient’s illness and assist them at their moment of loss. With their type of work, they are able to form close relationships with their patients and their families as well. How Much Does a Certified Nurse Aide Earn in SC? The average annual salary for CNAs in South Carolina is about $22,000 – $24,000 depending on your location, length of experience, and type of employer. Those who take on additional overtime can make much more money. This career is also an excellent way to gain experience in health care so you can move to higher paying positions with additional instruction. What Is the CNA Training Like in South Carolina? The typical certified nursing assistant training program seeks to provide students with the basic skills and information that is needed in order to deliver nurse aide tasks effectively once they are employed. The subjects that are tackled in such courses includes nutrition, basic nursing, taking of vital signs such as heart and respiratory rate and body temperature, medical terminology, anatomy, physiology, emergency procedures, resident rights and independence, infection control, and communication skills. A nursing aide should also learn about the ethics that are involved in the handling of patients and how they are to act towards them. What Are Popular Nurse Aide Schools in SC? There are several institutions which offer CNA training in the state of South Carolina. Such institutions include Abbeville Career Center, Aiken Technical College, Aman Institute Inc., Helping Hands, Forrest Junior College, and Veterans Nursing Home. The costs of training usually range from $600 to $1,200 depending on the type and services that is included in the tuition. What Are the CNA Requirements in South Carolina? Training programs are required to be approved by the South Carolina Department of Health and Human Services first in order to have their students eligible for the state competency examinations. There should be at least 80 hours of training which should include both classroom and clinical sessions. Click this link to get additional information about the nursing assistant certification requirements in South Carolina.